Every year Thanksgiving rolls around and I find myself going back to our family favorite dishes. 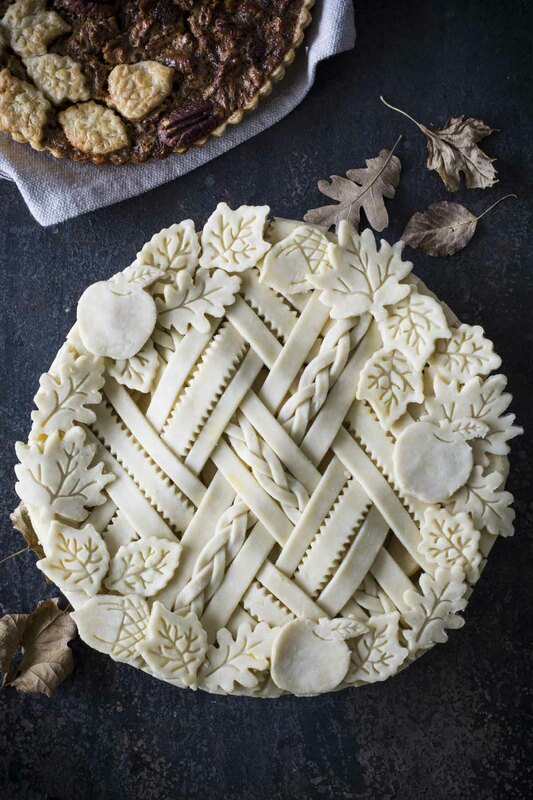 There are some recipes that complete our Thanksgiving feast that we can’t live without. 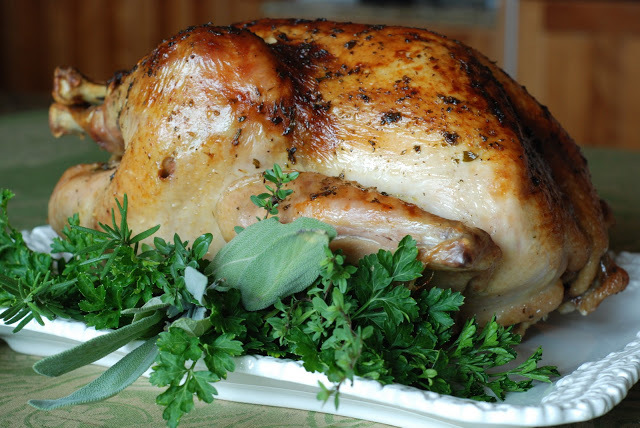 A Thanksgiving recipes index is long overdue. 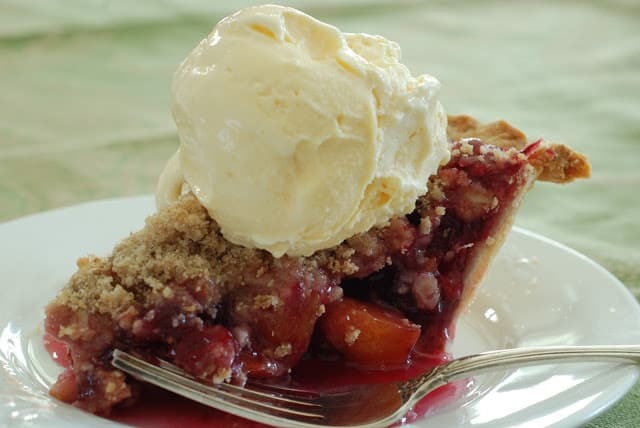 All recipes in photos have a link, step-by-step photos, and instruction. Remember to pace yourself during the holidays. Prepare whatever you can in advance. 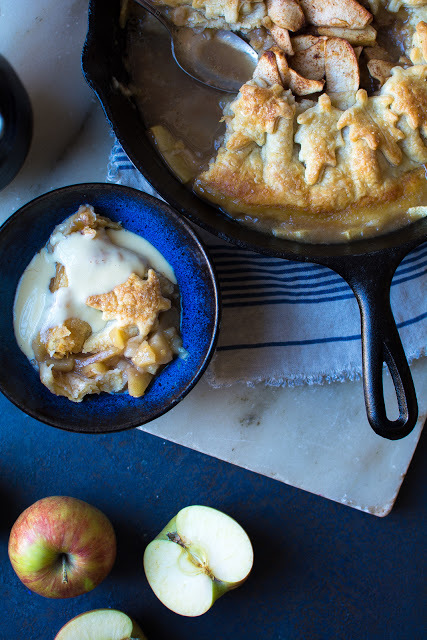 Apple Dumplings with Apple Cider Creme Anglaise – My father’s favorite all-time dessert. 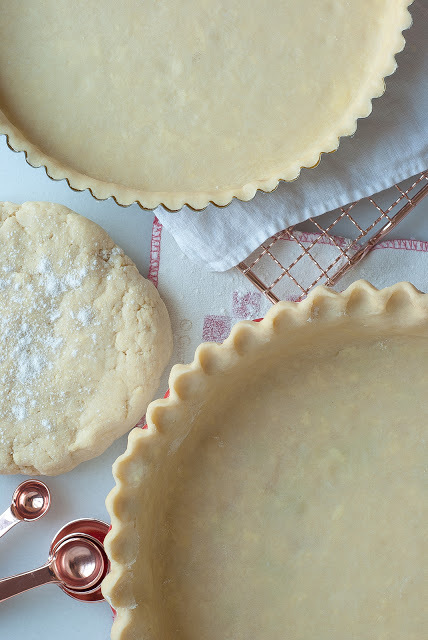 So easy to make without the fuss of making the crust look perfect. 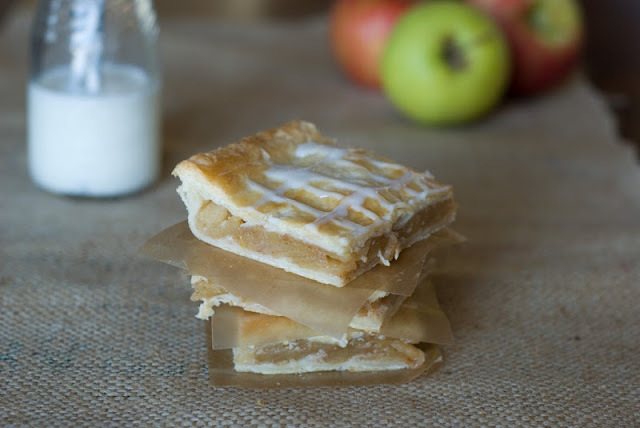 Slab Apple Pie – Perfect for a crowd. 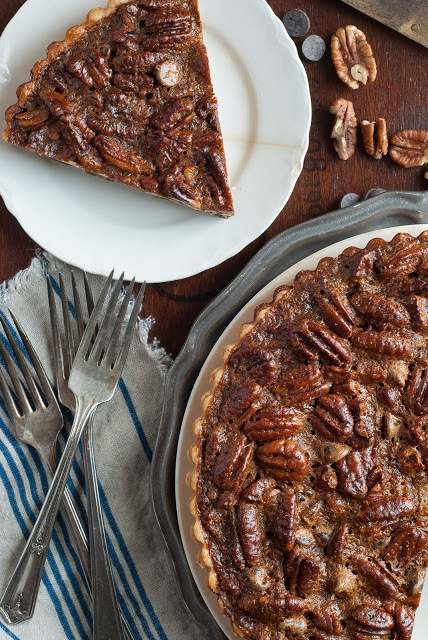 Pecan Chocolate Tart – make this 2 weeks in advance, wrap, freeze, thaw, eat. Coconut Cream Pie – My grandmother’s recipe. It’s heaven. 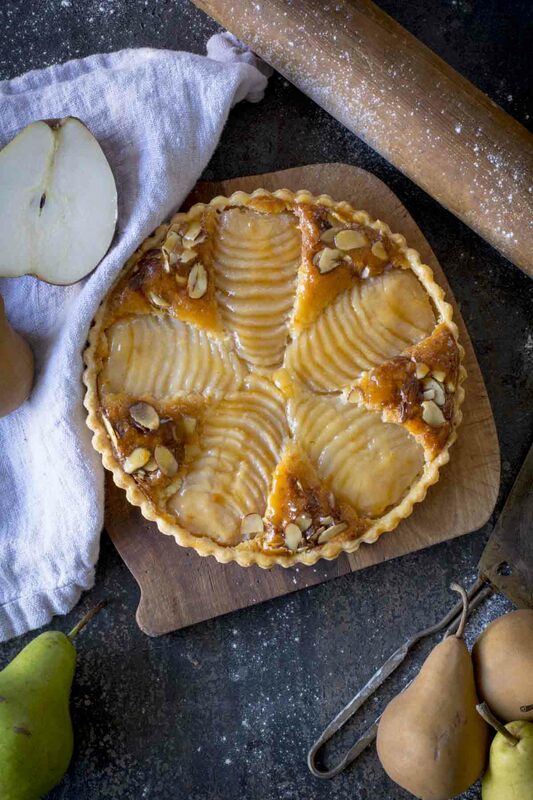 Pear Almond Tart – This is a showstopper! 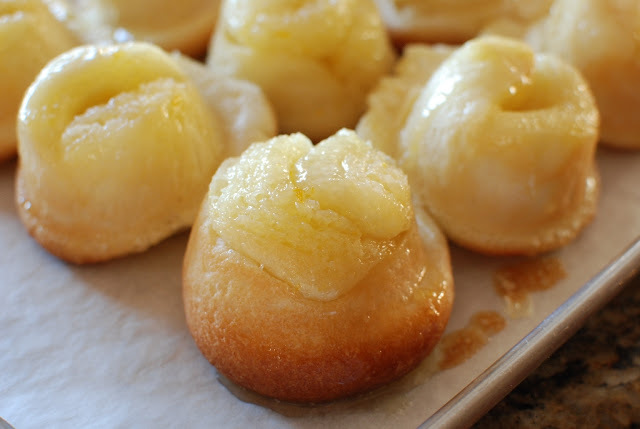 Orange Rolls – Killer, buttery, over-the-top. A must have at our Thanksgiving feast. 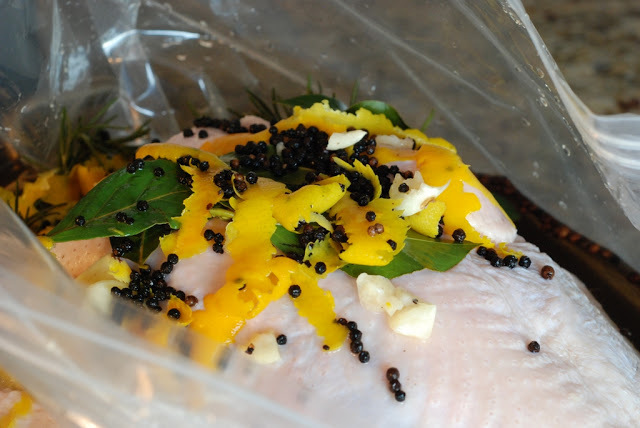 Turkey Brine – with flavors of orange, garlic, and rosemary. 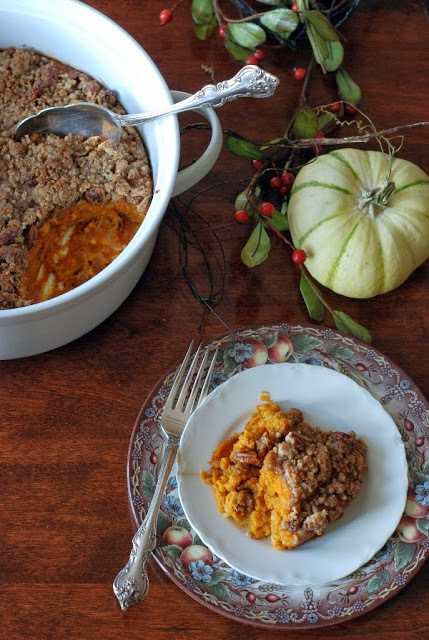 Southern Yams – if you only make one recipe from this index, MAKE THIS! 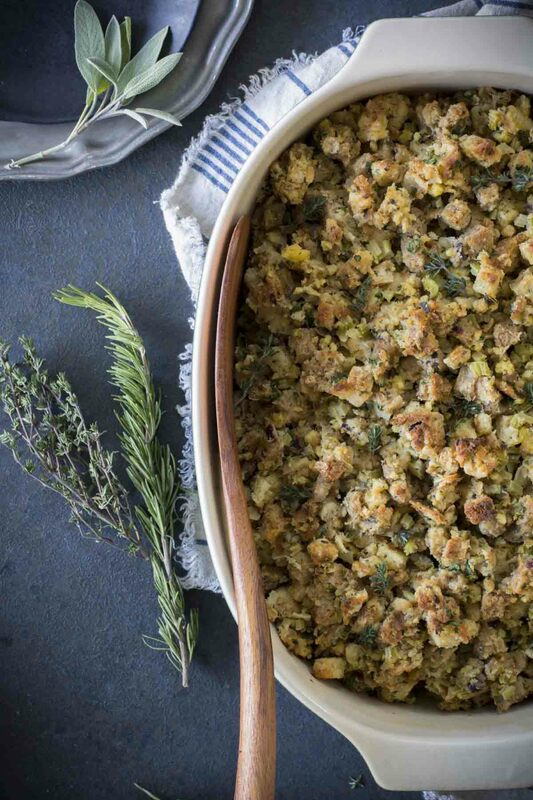 Fresh Herb Turkey Stuffing – secrets to making fabulous stuffing/dressing.